In the last three years, however, a few translators report some success. Matt Reeck and Aftab Ahmad’s translation of Manto’s Bombay Stories was published by Random House India in 2012, later republished by Vintage in the U.S. in 2014. Their translation of Mushtaq Ahmed Yousufi’s Mirages of the Mind has been published by Random House India in 2014 and is forthcoming from New Directions. “There’s quite a long story to the Manto book. I did have an agent, we did try to place it with commercial presses, it didn’t work out. Then the agent said that I should try university presses on my own (they wouldn’t pay enough to have the agent’s efforts be worth it). I had the book placed at OUP India and Columbia UP before the recession hit. Both of those fell through.” Then because of buzz created by another Manto book, some Manto centennial events in NYC that Bilal Hashmi and Debashree Mukherjee organized, exposure in Mint Magazine in Bombay, the book was picked up by Random House India. The buzz helped to get the book published with Vintage US & UK. Jason Grunebaum’s translation of Prakash’s The Girl with the Golden Parasol was published by Yale University Press in 2013 and Penguin India in 2008. Many translators are academics, used to approaching university presses. This isn’t surprising since the largest number of readers of translated South Asian literature here may be found in academia. Shingavi says, “I don’t know the full math, but my guess is that because South Asian literature isn’t really taught in large lecture classes (100 students or more) the academic market for them is probably seen as unreliable and small.” There lies a circular problem. There aren’t large enough courses to create a demand for lists. But in the absence of lists that publish translated titles, it’s hard to promote syllabi with such books. With university presses shrinking, it may be hard to believe that anyone’s going to come out with a list in the near term. But even in the age of tight budgets, universities do invest where they believe there may be breakthroughs. How much money is now being spent on “branding”? Is it that out of reach for a well-placed academic press making a splash, gaining themselves recognition, for being the first to launch such a list? 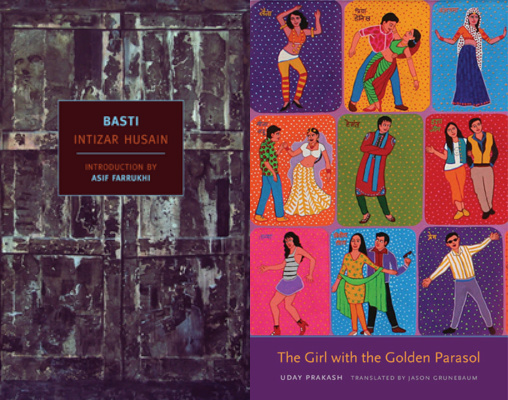 Next time: bringing South Asian literature to the attention of small publishers. good work Mahmud. One other aspect that needs to be poked is the lack of connection/respect/intimacy with the many literary traditions from South Asia by the South Asians who now reside in the west. We as South Asians have such a large pool with great command of the native language and the target language (of course translation takes practice!) -but to share two examples with you. Qurratul’ain Haider’s Aag Ka Darya, she had to transcreate it, not even translate it, by herself. I once met a Pakistani woman at a party and was excited to hear she wanted to do her PhD in Urdu. When I asked her if she was up on the contemporary Urdu literature, she couldn’t go past the names from the 40s & 50s. The interest among non-South Asians (whether academic or otherwise) is only a reflection of how much interest we South Asians have in our own literary works. Since 1983 my translations of Ismat Chughtai’s work have been published by Kali for Women and most recently Women Unlimited but thanks to Ritu Menon’s efforts, “TeRhi Lakir” was published in the eighties by Heinemann, then Sheep Meadow published The Quilt and Other Stories, and in 2007 Lakir was published again by the Feminist Press. I, for one, have not ever tried to send my translations anywhere else because it’s too much work and I’m quite content to have the translations published in India since availability is never an issue. We teach these texts at NYU and order them every year and have no difficulty getting them. Although the lack of interest in South Asian translations among publishers here is lamentable, as an academic I’m happy to see the texts return every year in US classrooms regardless of where they’ve been published.